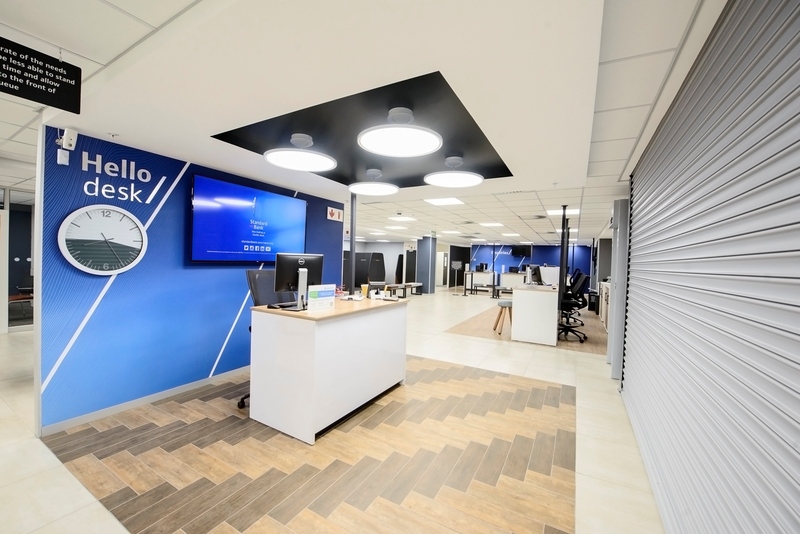 Standard Bank – with Solid Green’s aid – continues the greening of its branches, with the Greenacres branch in Port Elizabeth being awarded a 4-Star Green Star SA Interiors v1 As-Built Rating, demonstrating Best Practice, in January 2017. 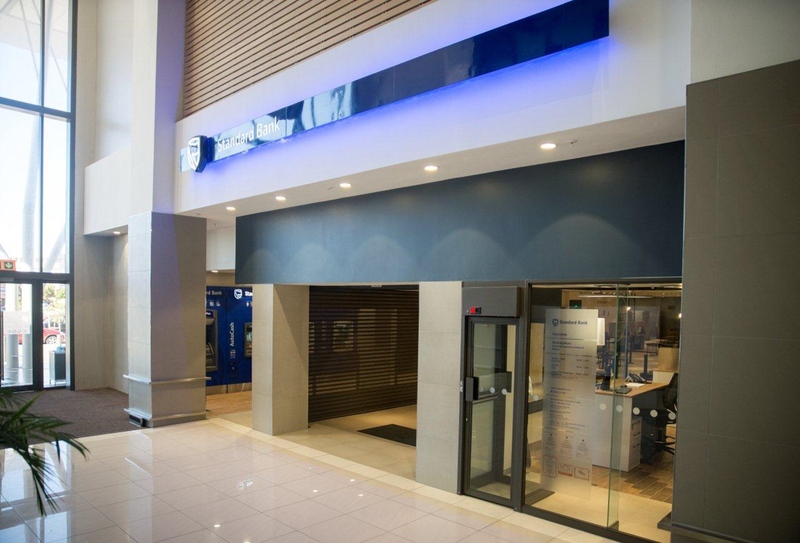 Standard Bank Greenacres has – in January 2017 – achieved a 4-Star Green Star SA Interiors v1 As-Built Rating, demonstrating ‘Best Practice’. The branch is in the Greenacres Shopping Centre, within walking distance of both bus and taxi stations, providing alternative commutes for staff and visitors. 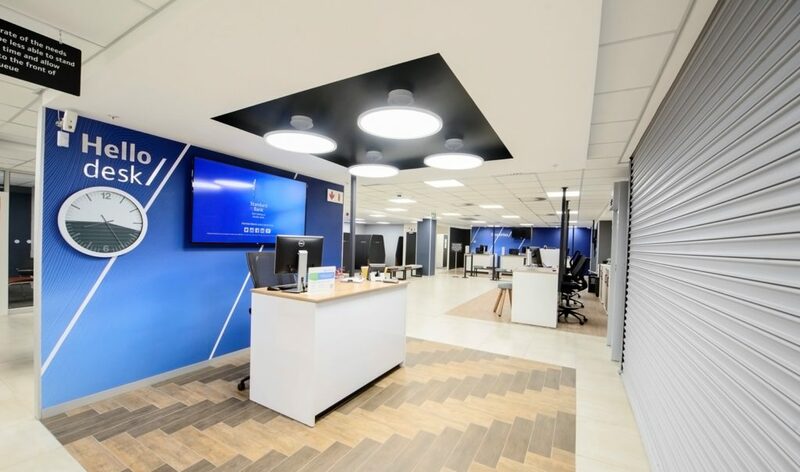 Standard Bank has attempted to reduce its waste by implementing an operational waste management plan and providing separation bins and recycling waste storage areas. Additionally, certified materials products were used for furniture, flooring and assembly items and sourced from within South Africa. Provisioning of tuning and commissioning of all services and installations to ensure they operate to their potential. Water and energy sub-metering to provide live-metering results for display in the foyer. General illuminance requirements have been met by providing lighting levels appropriate to the tasks performed throughout the fit-out. All printers and photocopy equipment certified as low emission. Low volatile organic compounds (VOC) paint, adhesives, sealants and carpets used to reduce the internal air pollutant levels. Materials and furniture having been sustainably and locally sourced. Local connectivity criteria which exceed the Green Star SA Benchmark. Car parking area: No dedicated parking bays.